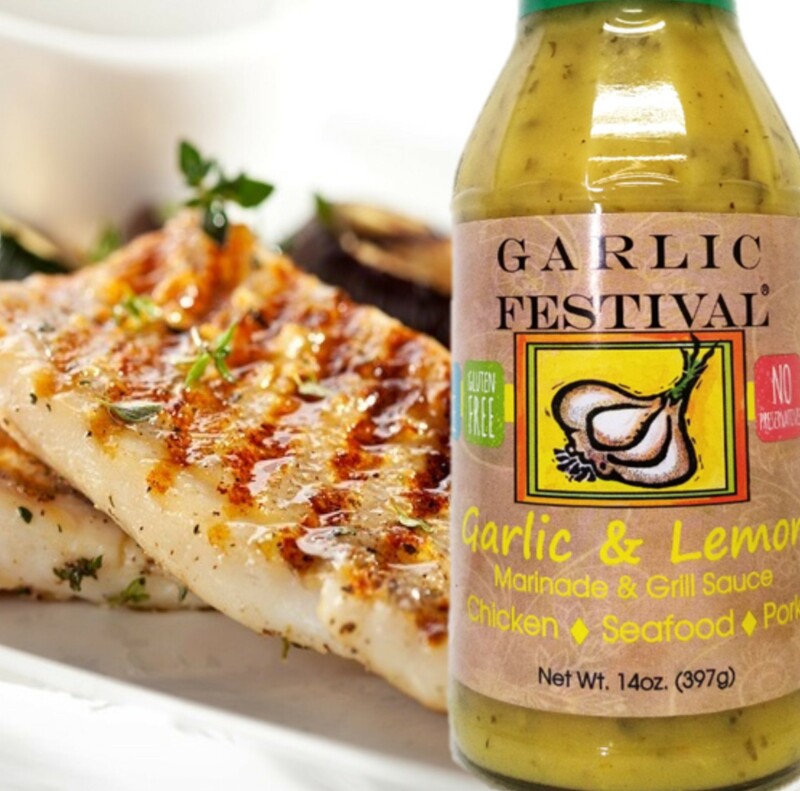 A wonderful & healthy blend of fresh roasted garlic & lemon makes this the ideal marinade for chicken, pork & seafood. Drizzle lightly over your favorite vegetables, especially nice with asparagus or grilled artichoke. We really enjoy this over shrimp on the barbecue. This delicious marinade & grill sauce will soon become a kitchen staple. Ingredients: Water, Garlic, Lemon, Rice Wine Vinegar, Roasted Garlic, Parsley, Basil, Mustard Flour, Spices, Xanthan Gum (a natural stabilizer). 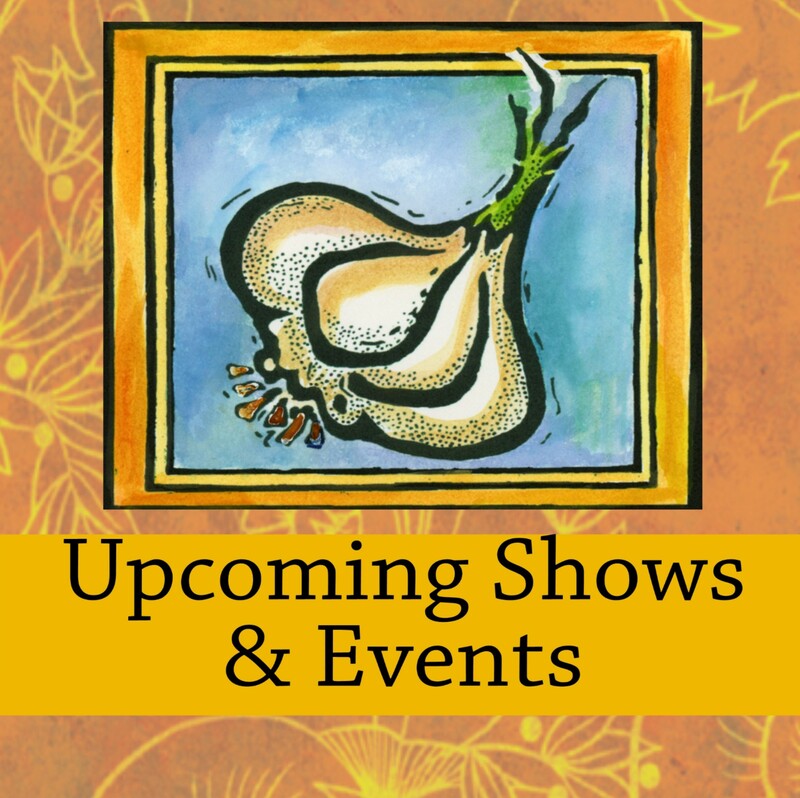 the be good for approx. 18 months. We've really gotten to like this sauce on chicken and fish. It's mild flavor is not over whelming so you can enjoy on light flavored meats or veggies. 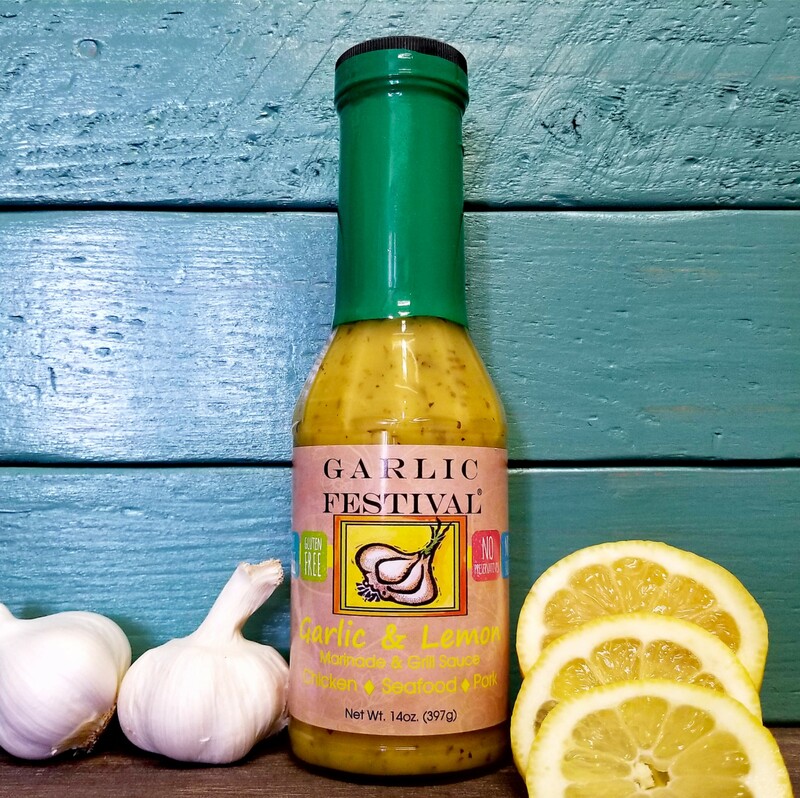 This is one of many sauces Garlic Festival has we really enjoy.